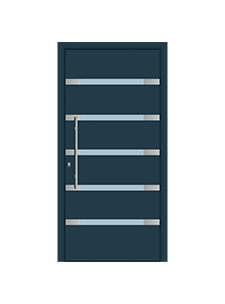 Spitfire offers the most comprehensive range of aluminium doors in Europe. 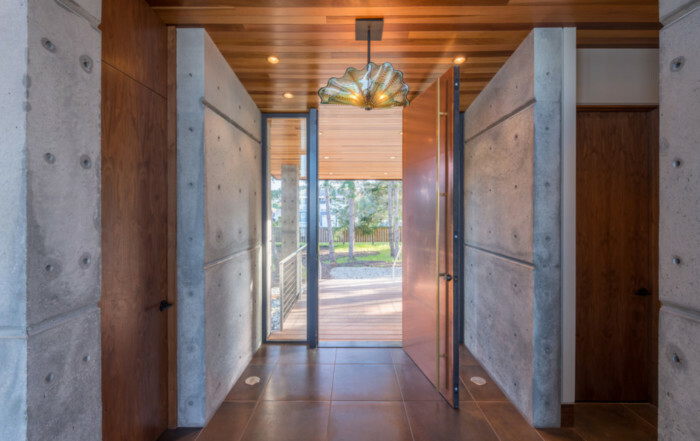 A Spitfire Door is the perfect fusion of security, substance and style. Each door and frame is meticulously engineered by combining substantial aluminium sections with hi-tech options like automatic locking. 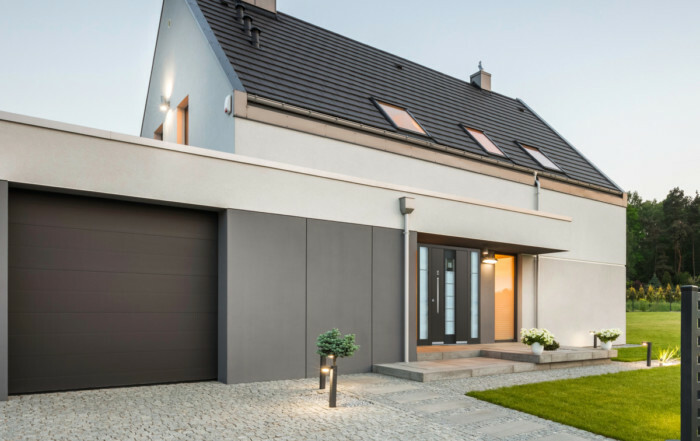 Spitfire Doors are widely specified in Germany, Austria and Switzerland, where consumers demand premium technically advanced products, with guaranteed durability. We can manufacture very wide doors to provide a clear one metre opening and doors up to a whopping 2.7m high. With over 600 door styles to choose from, including doors with side lights, double doors and French doors, there is a Spitfire Door to suit every property type. 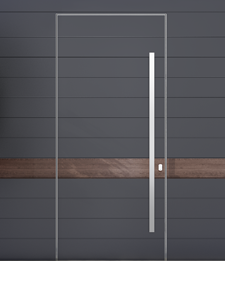 Plus, you are free to literally design your own door style using our S-500 Series as the basis for your design. 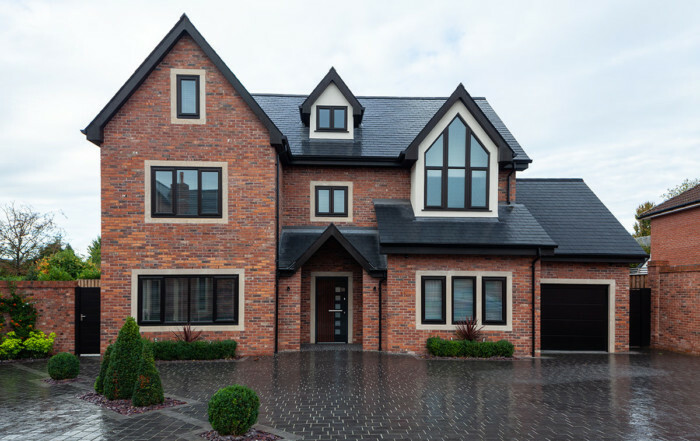 We offer a bespoke design service with contemporary and traditional door styles which means we can make door, sidelights and panels to your precise specification. 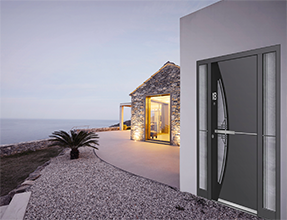 Safe and secure – our aluminium doors offer very high levels of security with multipoint locks, fingerprint recognition, smart spy hole cameras and built-in lighting. 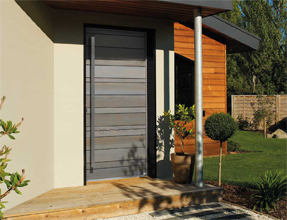 Durable – all Spitfire Doors have very high grade powder coated finishes, designed to withstand all UK weather conditions. Energy saving – our aluminium doors have amongst the lowest thermal values on the market, down to an incredible u value of 0.7W/m2K. Designer Doors – With designs ranging from traditional Georgian to uber contemporary styles, there is a Spitfire Door to suit every property. Our Design Partners have specialist installation teams who will also arrange to install your new Spitfire door in your home or property. 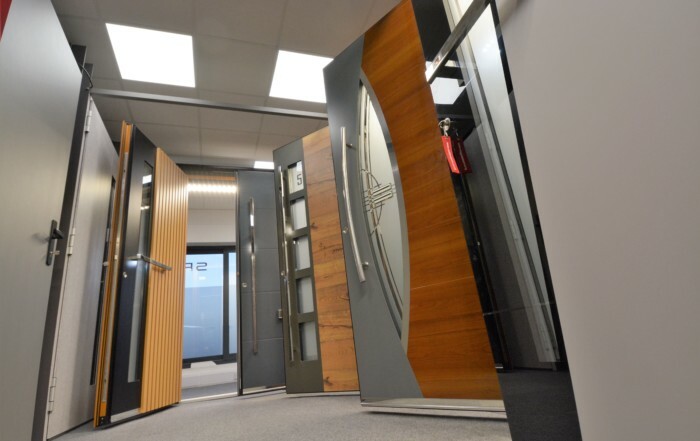 Across the UK we have a tight network of Spitfire Design Partners, all of whom have showrooms where our doors are on display. 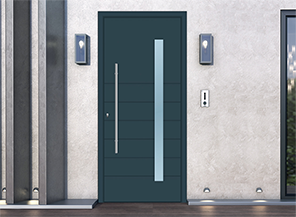 Our Partners will guide you through all the styles and options available across our complete door range, to ensure you have sufficient knowledge to make an informed choice when selecting the door for your home. Our Partners specialist installation teams will also arrange to install your new Spitfire door in your home or property. 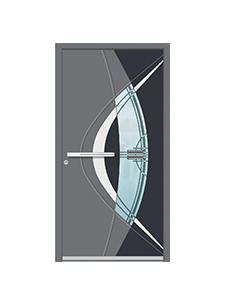 Our Spitfire S-500 Inotherm door range has a very substantial 105mm Schüco aluminium outer frame which ensures the thermal performance of our doors can be lower than even Passiv Haus standards. 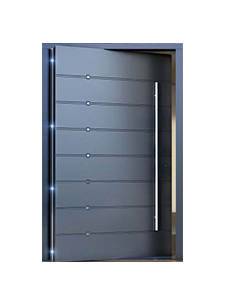 S-500 Series doors are exceptionally strong because the Schüco aluminium sections have 3mm thick walls, unique to Spitfire. Our S-500 Inotherm aluminium door leaf is a substantial 85mm deep also from Schüco, always combined with three layers of toughened glass. 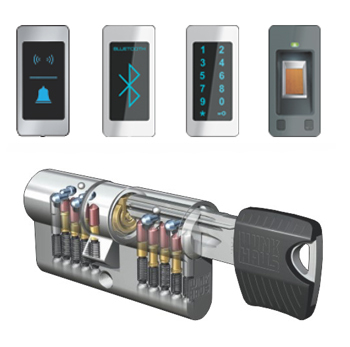 Spitfire S-500 Series doors are also available with a wide range of ‘tech’ options like fingerprint opening and built-in LED’s. These amazing doors will not only look great, they will also keep you safe and make sure your home is draught free. For those who love the sheer beauty of natural materials (and who doesn’t? ), Spitfire’s new S-400 range really is the obvious choice. 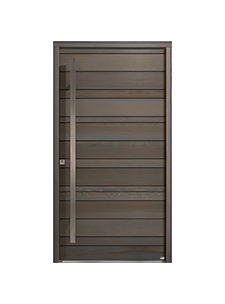 The outerfaces of each door are solidly constructed from West Canadian red cedar (‘thuja plicata’), a species justly renowned for the exceptional beauty of its grain, its rarity and great durability.